In the fashion design industry, getting an edge over other fashion designers around the globe is crucial in establishing a name. To achieve this goal, it is important to utilize all the available resources around. That’s why clothing design apps have been popular among fashion designers and creatives in this industry. A perfect partner to the handy iPad, a clothing design software is the modern pen and paper of most designers in the runway. Looking for the perfect clothing design software that will fit your creativity and lifestyle may be hard at first. To help you kick start your quest, here’s the top 10 must-have clothing design software for iPad as recommended by most fashion design experts. 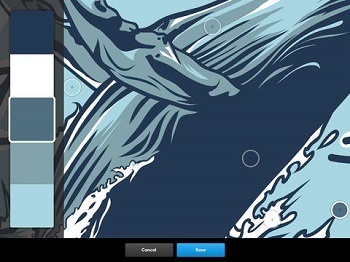 Adobe Ideas is a digital sketchbook where you can draw freeform vector illustrations in your iPad. It can work as your digital pen and paper; you can basically draw anything and anywhere with your iPad. The app is great in sketching initial concepts especially when you have that sudden burst of creativity while outdoors and you want to take note of everything before you forget it again. Adobe Ideas is free to download in the Mac App Store. It is a perfect companion for other Adobe products like Photoshop and Illustrator. However, it may take time for the app to start depending on the available memory space in your iPad. 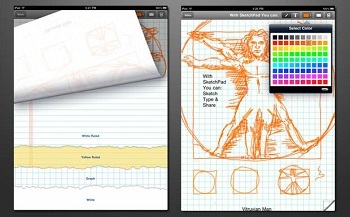 Taking down handwritten notes, doodles and sketches in your iPad is possible with Penultimate. It is a digital notebook where you can use your natural handwriting skills in taking down notes digitally. The app has different colored ink selections and paper styles that will make digital handwriting a pleasure. The app also has an automatic Wrist Protection mode that will protect your digital paper from smudges and stray marks. The app costs $2.99 to download. It is part of the Evernote Corporation so you can also synchronize your notes and sketches with your Evernote account. This app is a simple ruler tool. The tape measure is a fashion designer’s must-have especially during runway projects. If ever you forget to bring your own tape measure, the Ruler 2 app will help you take quick measurements. The app is also capable of measuring items larger than your iPad and you can even convert measurements to US and metric systems. The app costs $5.99 to download. It is developed as version 2.0 already with better usability and more accurate functions. 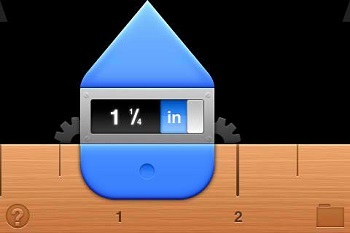 However, it may be a little tricky to use at first especially if it’s your first time to use a ruler-inspired app. The sewing kit HD is the clothing design software recommended for tracking the items you will need in your sewing hobby. 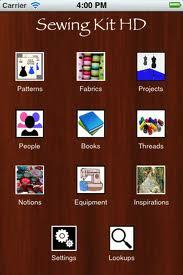 You can keep track of patterns, fabrics, people, projects, threads, books, notions, equipments, inspirations and trims with this app. Listing and tracking your sewing items with The Sewing Kit HD is helpful in preventing duplicate purchases so you can maximize the value of your money for your sewing endeavor. The app costs $8.99 to download. Vesta Software also offers the plain Sewing Kit app without the HD features which costs cheaper at $4.99 price tag. The downside of this app comes when there’s a lot of items stored in the database as searching time can be slower over time. Learning from other designers is crucial in enhancing your skill as a new fashion designer. 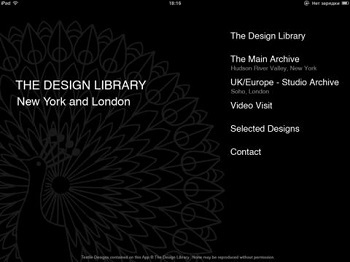 You can familiarize yourself with different design collections around the globe through the Design Library app. This app also features extensive textile libraries from the 1750s up to 1990s which will help you learn the trends in textile selection through the years. . The Design Library app is free to download in the Mac App Store. The newly released Version 1.1 features different video visits to design consultants. In the latest update, the app is prone to crashes especially when the internet connection is not stable. Pantone is a respected authority in color databases. Most designers know Pantone colors as they are responsible in setting color trends and color palettes for different designs. The app is also capable of recognizing rare color combinations especially for textile production. Currently, there are over 13, 000 Pantone colors in their database where you can create different color palettes for fashion designing. The app costs $9.99 in the Mac App Store. The app also comes with Portable Color Memory so you can’t forget what a color looks like and record it in your own database. The app is more expensive than other similar apps with the same functions as Pantone continuously develop their databases over the years. A savvy fashion designer always knows the latest news and updates in the fashion world. With The Cut on the Runway app, you can stay updated with the latest news and publications in the well-known fashion shows around the globe. A great feature of this app is the extensive collection of runway photos from different fashion shows. The writers contributing to this app also compile the coverage made by the New York Magazine so the latest fashion shows from Paris, New York, Tokyo and Milan can be easily accessed through the app. The app is free to download in the Mac App Store. Because of previous reports of crashes and lags, the newly released Version 1.1 has the improved Rate These Looks feature and equipped with more stable functions. Are you not in the mood to start your new design collection today? Get some inspiration from Art Authority where a large collection of different artworks from thousands of artists can be easily accessed. 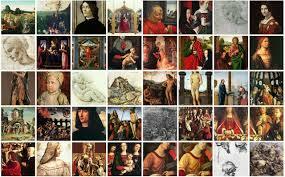 The artwork collections are categorized into several galleries and each collection is properly documented. The app costs $4.99 to download in the Mac App Store. Most designers recommend it if you want to boost your creativity and imagination in creating unique designs. However, the app doesn’t include latest works of popular artists nowadays and updates might be released for the app soon. Most designers have one common problem – they can easily lose their focus once distracted. Fortunately, the Moodboard app is helpful for this problem. 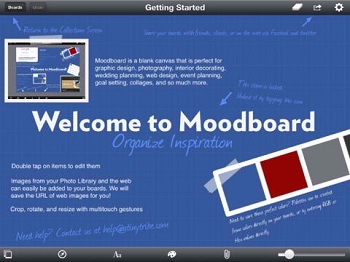 The app is designed to create an inspiration board on your iPad so you can keep your visual focus in place. All you have to do is browse the internet using the in-app extension and click the crop icon to keep the image in your board. The app costs $4.99 to download. The board is fully customizable and you can even add little thumbtacks, pictures and notes to each board. However, when using the Chinese input method, the app usually crashes so it is advisable to avoid it in the meantime. Getting inspirations from popular places around the globe is now easy with Fotopedia Heritage. This app has an extensive compilation of popular heritages around the world so designers can derive inspirations even without leaving the comforts of their studios. 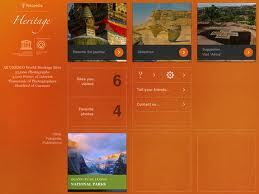 The UNESCO World Heritage Center helped in developing this app and it is free to download in the Mac App Store. It usually takes time to load the images featured in the app, but with stable internet connection, the images can fully load within several minutes.